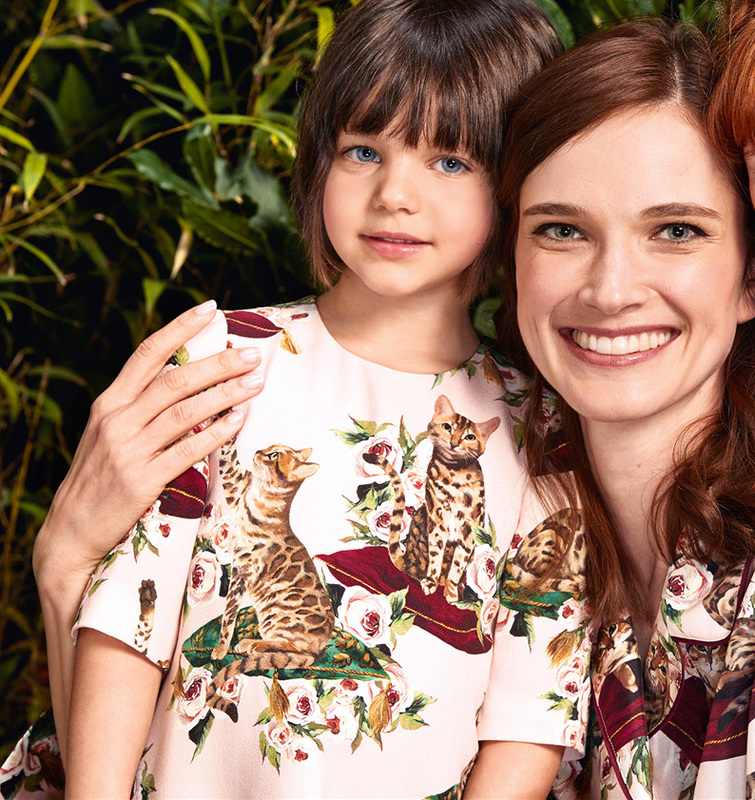 Must Have of the Day: Dolce & Gabbana FW'18 collection for those of you who're in love with this adorable bengal cats! 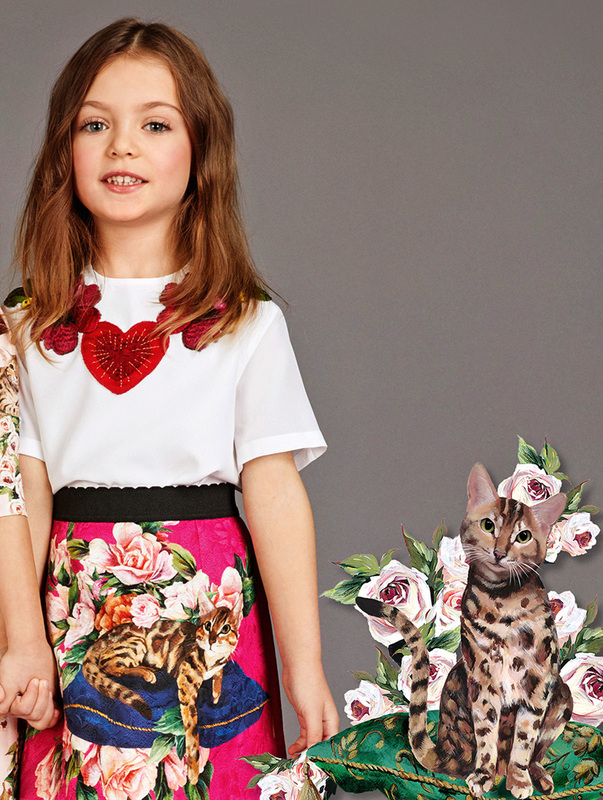 Finally, the world of haute couture and runway shows is catching up on what’s really cool: Bengal Cats! 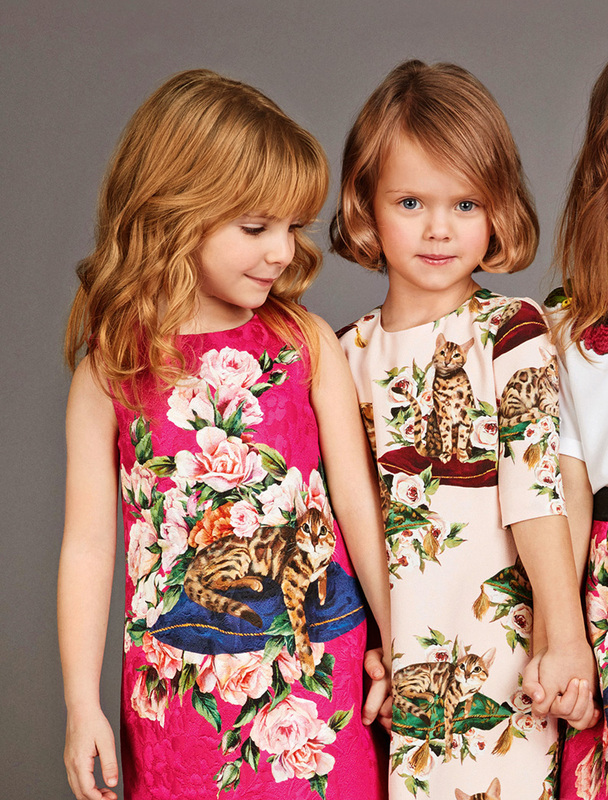 Stefano Gabbana himself has quite the soft spot for these wild-looking pets, having incorporated them into his new styles on the catwalk! His Bengal cats, he mentions in an interview, make “wonderful playmates” and he fell in love with them at first sight. He even takes them to the office with him! What a wonderful source of inspiration for his designs. 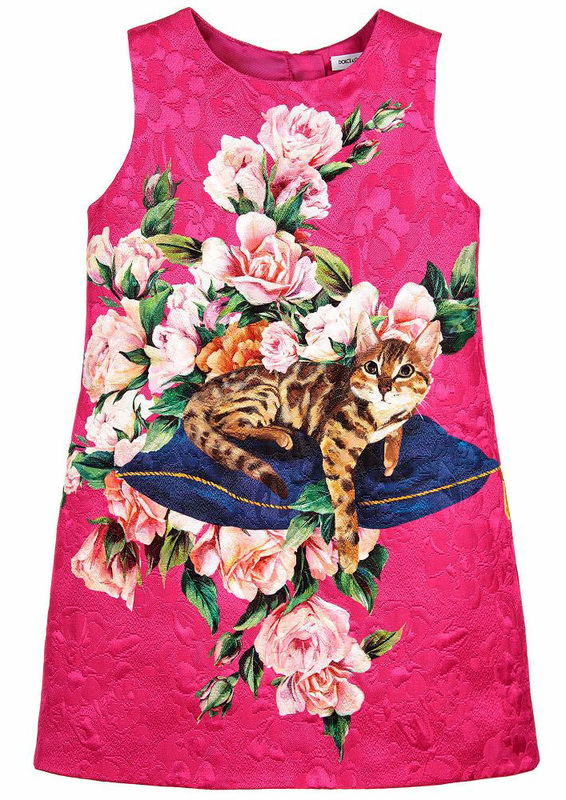 All eyes will be on the special girl wearing this vibrant silk brocade dress by Dolce & Gabbana, with its fun floral cat motif. Fully lined for comfort, this beautiful dress radiates Italian luxury and epitomises the designer's sense of fun. 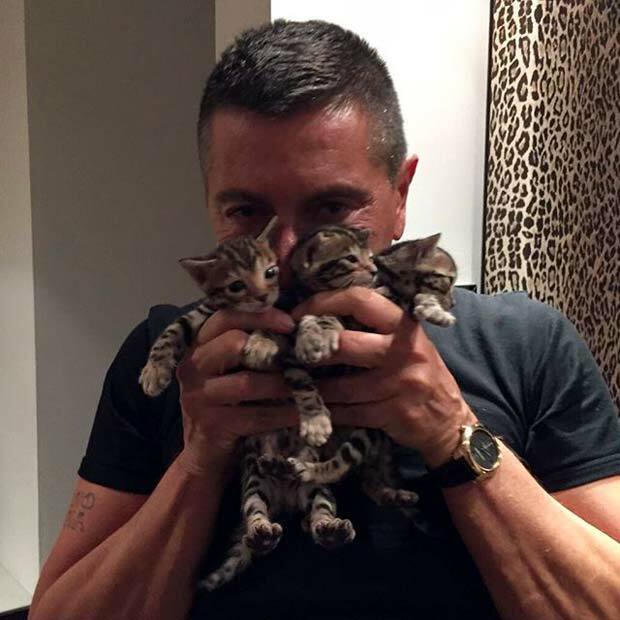 Stefano Gabbana’s styles are a true reflection of his adoration for these exotic cats.